Scottish design with celtic highlights. 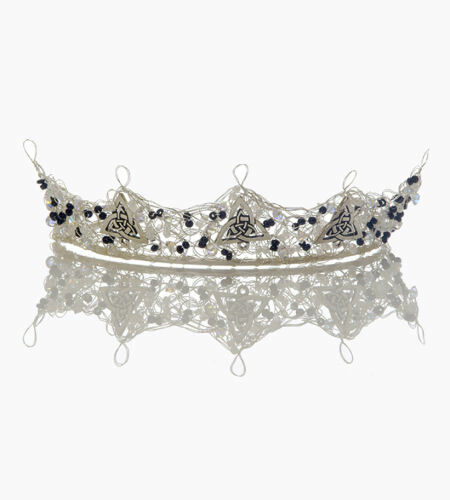 The bead work is a blend of small black and white glass beds with swarovski crystal for that glorious bit of sparkle. This design can be made in any colour combination. Try picking up on the colours through your tartan for a truly Scottish look.